He was accepting a bribe of around 3,770 dollars. 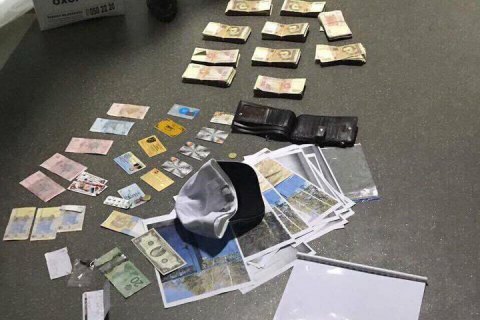 The head of the guard police department, Serhiy Budnyk, has been detained on suspicion of accepting a bribe, according to Prosecutor-General Yuriy Lutsenko. "Employees of the Prosecutor-General's Office, acting in coordination with the Security Service of Ukraine and the National Police, have exposed the head of the guard police department of Ukraine, Gen 3rd rank Budnyk, who demanded, through intermediaries, over 80,000 hryvnyas each month for protecting a person in addition to official fees," Lutsenko said on Facebook. The general was detained when he was accepting a bribe of 96,000 hryvnyas, or about 3,770 dollars. According to Lutsenko, Budnyk has received over 170,000 hryvnyas in bribes since June.